Published in the November 2011 issue of Qatar Happening magazine. Download a PDF of the article. It’s hard not to swoon when The King’s Singers perform on stage. Dressed impeccably in sleek suits and matching ties, these six suave, silver-toned men possess the charisma of a retro pop band. They have the following to match: each year the group performs hundreds of concerts across Europe, North America and Asia. Hailed as one of the best vocal ensembles in the world, The King’s Singers have garnered numerous accolades, including a 2009 Grammy. Not bad for an a cappella group that’s been around since the 1960s. The King’s Singers’ smooth and organic sound contrasts sharply with the electronically synthesized style of many artists today. Their repertoire is far from mainstream. Although the group performs pop and jazz numbers, from the The Beatles to Michael Bublé, they are best known for their mastery of Renaissance compositions – a forte that stems from the men’s similar training as boy choristers and choral scholars at prestigious universities in England. Founded in 1968, the group takes its name from King’s College at the University of Cambridge, where its six original members studied. As each founding father retired, a replacement was brought in. This revolving system has continued to this day, and the group has had a total of 21 singers. Its current stars are all relatively young, handsome vocalists (their ages range from early-20s to mid-50s). But perhaps more importantly, they are all quintessentially English. The King’s Singers have tested German and American vocalists, but it’s telling that only British singers have ever made it through the grueling and somewhat secretive audition process (auditions are not advertised or else the group would be inundated with thousands of applications from around the world. Instead, potential members are hand-picked). The group says this is simply common sense: members have to come from similar choral or conservatory backgrounds to ensure the proper mimicking and blending of vowel sounds. 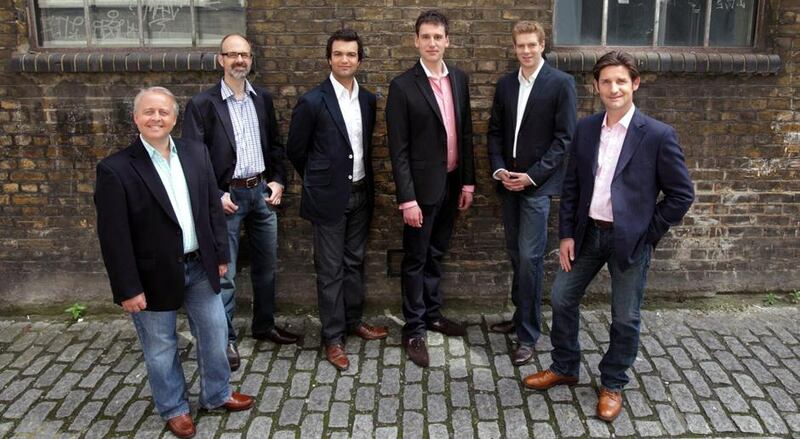 The King’s Singers may possess perfect pitch, rhythm and even shiver-inducing falsettos. But you would be forgiven for thinking that the ensemble’s British and Eurocentric repertoire may not exactly appeal to audiences in the Gulf. On the contrary, The King’s Singers seem to enjoy a passionate following in the region, a fact that surprised baritone Christopher Gabbitas when the group performed for the first time in the U.A.E. in April. The King’s Singers will perform in Doha at the end of this month as the opening concert of the fourth season of the Friends of the American School of Doha Chamber Music Series. Sponsored by the International Bank of Qatar, the series showcases local and foreign talent in the fields of classical, opera, operetta and folk music. This will be the group’s first visit to the country where they plan to present an eclectic mix of light and serious repertoire, including English Renaissance music. Gabbitas said the program will exude a ‘frothy’ feel in keeping with the buoyant spirit of the Christmas season. The King’s Singers are certainly not afraid to expand audiences’ horizons. In 2005, they released “Sacred Bridges,” a CD and concept project that featured Old Testament psalms set to music by Islamic, Jewish and Christian composers. Their aim was to show the similarities among the world’s main religions. The King’s Singers have also commissioned more than 200 works by contemporary composers. This season they premiered pieces from Paweł Łukaszewski, a Polish composer specializing in choral and sacred music, Uzbek-Australian Elena Kats-Chernin, whose music played at the opening ceremonies of the 2003 Rugby World Cup and 2000 Sydney Olympics, and Eric Whitacre, the popular American conductor, composer and lecturer. “Promoting contemporary work is a very important part of what we do. Partly to promote the group and its work, but also to make sure that we are contributing to the choral library for future generations,” Gabbitas said. Gabbitas is keen to include Middle Eastern composers in the group’s repertoire. He hopes that The King’s Singers’ travels to the Gulf (they will be returning to Dubai next year) will inspire local musicians. Despite their demanding schedule – they will spend just one full day in Doha before departing for the rest of their Asian tour – the group always makes time to share their skills with local choirs or harmony ensembles. They plan to hold a workshop with choral students at the American School of Doha this month. For Gabbitas, the 2011-2012 season has proved momentous, if only for the group’s forays in the Middle East. The King’s Singers’ performance in Dubai underscored the group’s ability to bring together music aficionados from different ethnic and cultural backgrounds. “People talk about [music] transcending languages and cultural barriers and that’s true to an extent. But I think the fact that we do such a variety of music, there is always something that people can cling on to, that people can identify with,” Gabbitas said. Gabbitas expects nothing less in Qatar. The King’s Singers will perform at the end of November as part of the Friends of the American School of Doha Chamber Music Series, sponsored by IBQ. As per the American School of Doha’s regulations, the exact date and location cannot be published. Tickets are priced at QR 150, QR 75 for IBQ customers and QR 50 for students. For more information and to order tickets email: asdchambermusic@gmail.com.